The Digital PTO Premium Plan offers all of the same great features that the Free Plan offers plus many of additional enhancements. All of our Paid Plans offer unlimited news posts and informational pages as well as the ability to upload images and have them perfectly sized with one click. You can also upload PDF documents to your website. Premium Plans can upload a whopping 500 Mb (half a Gig!) of storage space. The Premium Plans are further enhanced by adding our robust Form System that allows you to create forms (or use our pre-built templates) to collect information from your families, a powerful Events Calendar, Automatic Email Blast Newsletters, Priority Email Support and much more. Premium Members have access to all of the Standard themes as well both our Enhanced and Premium Theme libraries. The Premium Plan comes with a customizable Contact Us form, a customizable PTA / PTO Volunteer Sign Up form, and a customizable PTO / PTA Family Registration form. All of the data can be downloaded in .csv format and used in a variety of other programs. Our Plans include a beautiful Events Calendar. The events calendar can be displayed as a full calendar or turned into list of upcoming events. 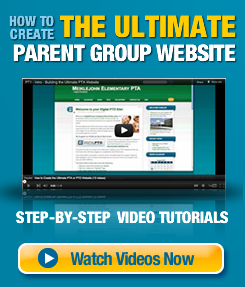 Premium Plans are able to integrate directly with Facebook if your PTA / PTO has a Facebook page. Our Drag and Drop interface makes it easy to move widgets and blocks of information around on your website. We are constantly introducing new features, themes and functionality as well! Premium Plan Members also have the ability to use a custom domain name (YourSchoolsPTA.com) in addition to the free Digital PTO domain you receive. The Premium Plan also has a beautiful smart phone (iPhone, Android or Black Berry) interface built in and an additional theme specifically designed for iPad and tablets. Premium Plans are 3rd party Ad Free (unlike the Free Plan). The Premium Plan has access to direct priority email support, so if you get stuck and need assistance, you have easy access to our staff. What are the differences between the Premium and Premium Plus Plans? There are only a few major differences, but they are big features. 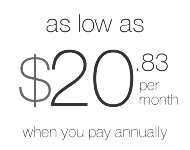 The most popular feature available with the Premium Plus Plans are the ability to accept payments on your forms. Premium Plus members also have access to more forms. You can Compare the Plans here.